The weather is lousy and Eastern Washington faces a huge football game – the kind of opportunity that Aaron Best has been building for since January. That’s when Best took over the Eagles’ program from Beau Baldwin and resolved to mold it in his own image: tough, physical and built to win when it matters most. 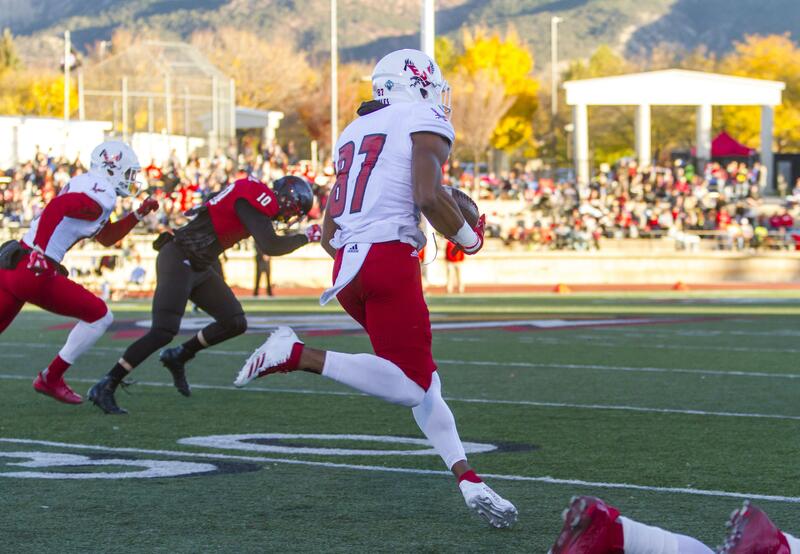 But to win in the Football Championship Subdivision playoffs, you have to get there, hence the importance of Saturday’s homecoming showdown with Weber State. Both teams are 4-1 in the Big Sky Conference and along with Southern Utah are one game behind Northern Arizona, effectively making this an elimination game for the defending conference champion Eagles. A loss won’t eliminate the Eagles from the postseason, but it would leave them on the brink. “There are a lot of teams who want a piece of the pie, and that makes it fun and interesting, as well as challenging and competitive,” Best said. “That’s what we all want,” Best said. The 11th-ranked Eagles (5-3 overall) will get plenty of competition from No. 19 Weber State (6-2), which apart from NAU has been the most consistent team in the conference. The Wildcats are balanced on offense and stingy on defense, especially in the red zone, where Big Sky opponents have come away with just four touchdowns in 15 visits. “That means you have to be on time with all your throws,” said Eastern quarterback Gage Gubrud, adding that the Wildcats seem to have the same tenacious style outside the red zone. Eastern counters with the leading offense in the conference, but the Eagles had a miserable experience in their last outing, a 46-28 defeat at Southern Utah on Oct. 21 that saw them score just one offensive touchdown after the first quarter. “We just need to execute better,” Gubrud said. It’s the same story on defense, where Eastern has struggled to win on third down and has been on the field for too many plays. Weber State’s balanced offense is efficient, ranking third in FCS in time of possession. Quarterback Stefan Cantwell (65 for 108 for 903 yards in five Big Sky games) is mobile and seldom makes mistakes. The Wildcats also like to use their tight ends, especially All-American Andrew Vollert (32 catches for 385 yards on the season). “They’re extremely efficient at running the style they want to run,” Eastern defensive coordinator Jeff Schmedding said. “They’re able to score off big plays at times and chunk you at other times. Both have been a problem of late. The Eagles’ last three opponents – UC Davis, Montana State and Southern Utah – were a combined 31 for 56 (or 55.3 percent) on third and fourth down. The bigger issue – which Best addressed this week by wearing a faux S.W.A.T. costume on Halloween – is turnovers. Eastern is minus-11 for the year, ranking 115th out of 123 FCS schools. Eastern has gained 10 turnovers (95th) while losing 21 (112th). Weber State is at the other end of the spectrum at plus-11. Published: Nov. 3, 2017, 4:55 p.m. Updated: Nov. 3, 2017, 6:56 p.m.